Out with the old and in with the new. 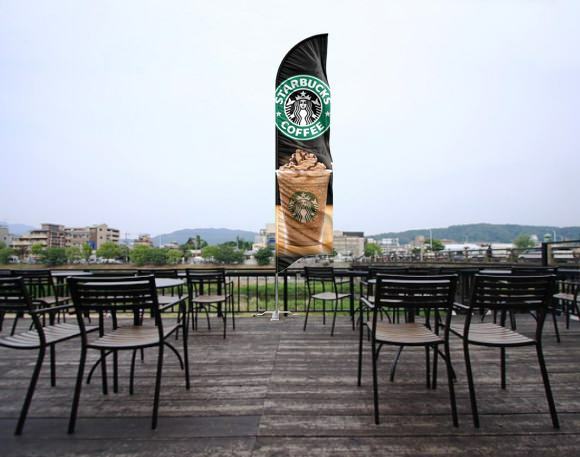 Flag banners have slowly begun replacing vinyl banners as the leading outdoor advertising signage. Banners made of flags are light weight, take up very little vertical space, and are available in many sizes. Additionally, these flag banners can be upgraded to travel packages, making them easy to transport. There’s nothing like a colorful banner to catch your eye when you’re at a business or a special event. Perhaps you want to draw attention to a special sale or promotion. Or maybe you want to alert people to a local event like a fair, sports game, or community picnic. Banners are guaranteed to get your message out to everyone who walks or drives by, which can add up to thousands of people in a single day. Our flag banners are durable enough to be placed indoors or outdoors, wherever you’ll reach the most people. A variety of mounting options makes them easy to display just about anywhere. Many people choose to simply hang their vinyl banner from a wall, requiring only a couple of minutes to set up. If you prefer an advertising flag with a stand, you have several different types of stands to choose from, depending on if you want to set up your flag in the dirt or on a hard surface like concrete. Whichever option you choose, installing the flag is an easy process that can be completed in a matter of minutes. We have a wide selection of shapes and sizes available, so you can pick the one that fits your budget and looks best with your logo or message. The standard rectangular flag banner is one of our most popular sellers because it’s easy to read from a distance, giving your message as much visibility as possible. We have hundreds of styles of banners in stock and a fast shipping time, so you can have your banners in no time at all! For those who have a particular message they want to have displayed, we also offer customizable banners. Designing your own banner is a very straightforward process that just takes a few minutes on the computer. Or, if you prefer to leave the design work to someone else, you can just contact us with your ideas and we’ll help you come up with the perfect banner for you. Just like other banners, we have a variety of shapes and sizes, but we can work with you to design a new size or shape according to your needs as well. Once we have your completed order, it typically takes between 1 to 3 days to finish creating your new banner before we mail it out to you. We strive to provide you with outstanding customer service and are always willing to help you with any questions or concerns you may have during the process!